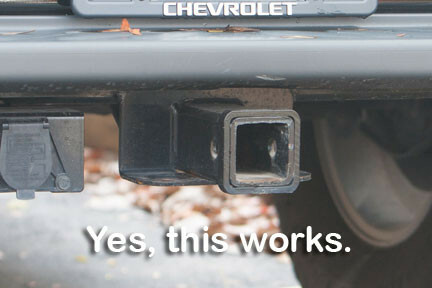 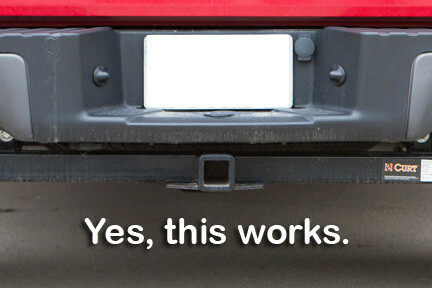 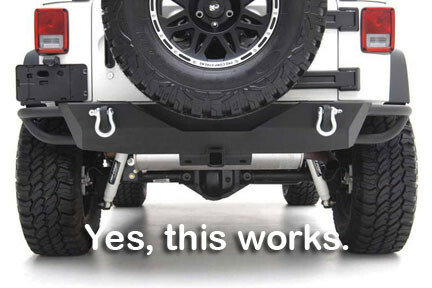 Fits 95% of Jeep's, Truck's, and SUV's with a standard 2 inch hitch. 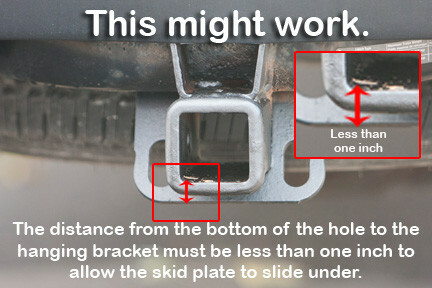 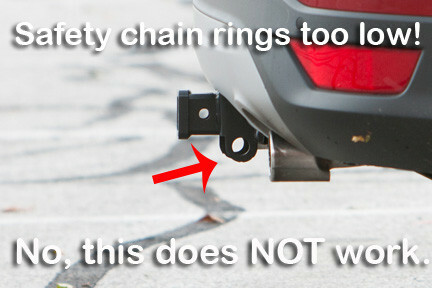 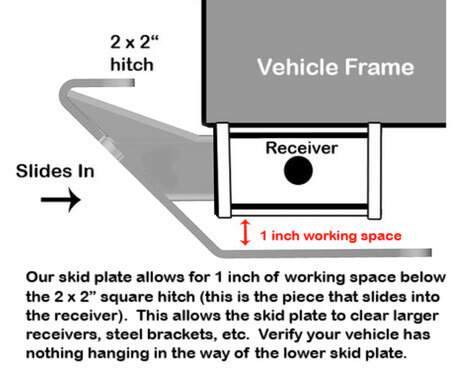 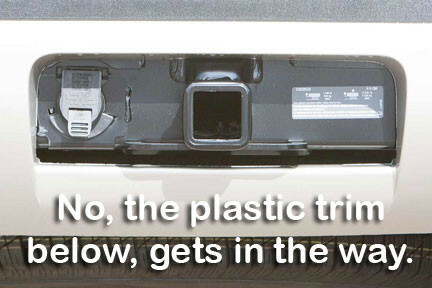 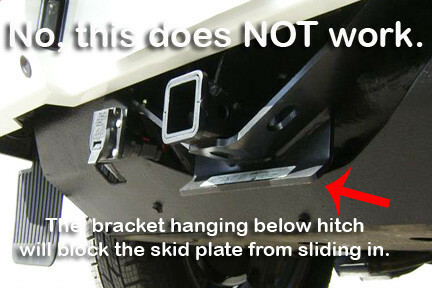 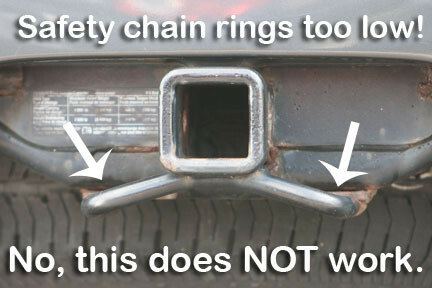 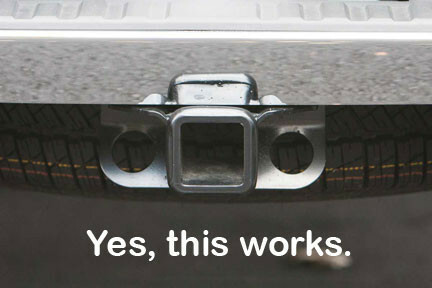 Our skid plate will NOT fit on vehicles that have trim, brackets, electrical sockets or safety chain rings hanging more than one inch below the bottom of the skid plate hitch. 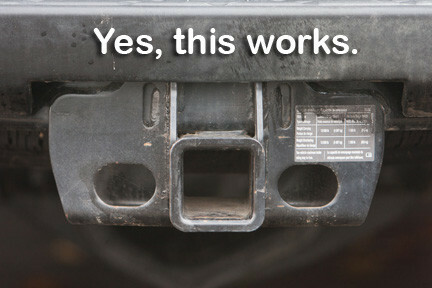 The skid plate is also 12 inches wide, so meaure out 6 inches of space from the center of your receiver to both sides to verify fit.